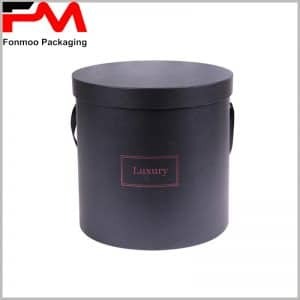 Custom large round gift boxes with lids has very strict requirements for suppliers and require more for manual gluing. Large sized cardboard tube boxes packaging surface does not allow a trace of flaws, because it will be infinitely enlarged, affecting the value of the product. 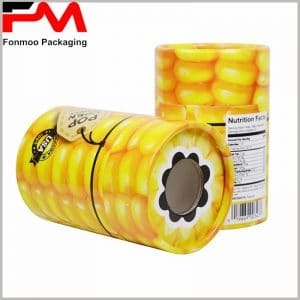 While large packages are often used as storage boxes or shipping boxes, the well-designed large cylinder packages have very good advantages to be used as gift boxes, especially as dress boxes. This pure red background tube cardboard box packaging, partly using copper paper as raw materials, but the main material is cardboard, red printed copper paper as a piece of paper attached to the packaging surface, which is full of festive atmosphere. Although the main part of the cylinder and the base are connected as a whole, they are simply put together during the manufacturing process. The gap between them is 0.5-1mm. The bottom of the cylinder is glued with a small amount of glue so that it will not fall off. On the red top cover, there are corporate logos “IF” and “IVESFAMILY”, very simple and suitable for well-known large enterprises. If it is not a significant brand effect, it is not recommended to use this design method, because the surface cannot show which product belongs to this package, there is not enough brand awareness. The gap between the upper and lower bottom cover is 2-3cm, to create a three-dimensional sense, is a good packaging structure design. 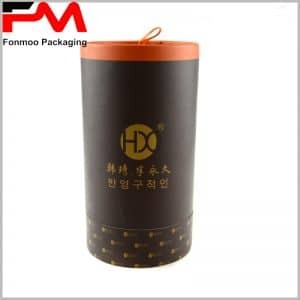 Because we are the terminal packaging manufacturer, there are many types of custom tube packages that we can offer you, and the dimensions are also very precise based on the product. If you are looking for a partner in the production of packaging, and hope to get a free sample, we will be a good partner. Because not only can we provide you with the best custom packaging, but all the samples are free.